The Carrington Avenue Uniting Church (formerly Methodist Church) was built in 1908 to a design by architect Alfred Newman, a grandson of Ebenezer Vickery. The Vickery family were great benefactors of the Church. Beautiful memorial windows and plaques are a feature of this church. The windows on the eastern side commemorate the service of Mabel and George Davey and Charles T. Newman, the first pastor; the south panel erected by the Nesbitt and Murphy families in honour of Ethel L. Nesbitt; on the western wall is a window for Joseph and Emily Vickery and the second to Amy A. Vickery and Elizabeth, wife of C. T. Newman. Plaques commemorate the Rev. Benjamin Meek, Ethel G. Thompson, Mr. Robert H. Nesbitt, Joseph Vickery and his daughter Lilian. The 1914-1918 War Honour Roll lists the names of all church members who enlisted and the plaque those who made the supreme sacrifice- Frank and William Curry, Reginald Harrison, Raymond Jordan, Phillip Kelly, Joseph Ranson, BA LLB and Walter Rogers. A carillon was installed as a memorial to those who made the supreme sacrifice in the 1939-1945 War – James Douglas, Harold Evans, William Hancock, Donald Hood, John Roberts, Trevor Rowsell and Ronald Smith. A Memorial Book lists the names of all who enlisted. 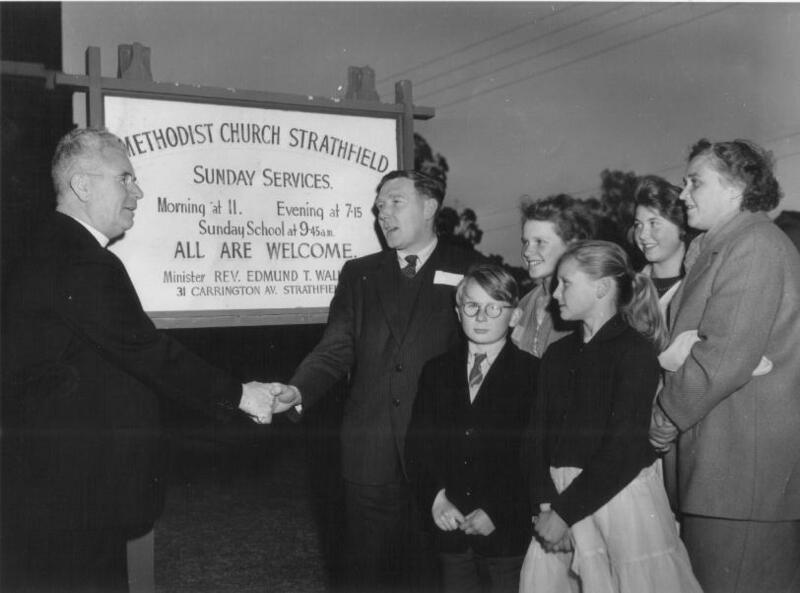 After 1977 a Memorial Book was transferred from the Presbyterian Church in Homebush Roadand it records the names of those who served from that congregation.